with the magic of being alive. . . .
Today's short is a reflection and meditation from The Art and Soul of Compassion, a digital storytelling project that brings together voices from the disciplines of art, contemplative practice, peace building, social science, and neuroscience. The 10-minute film is narrated by John Paul Lederach. Lederach, an expert in conflict transformation, is the professor of International Peacebuilding at the University of Notre Dame in Indiana; he also is an Eastern Mennonite University Distinguished Scholar and a senior fellow at Humanity United (Omidyar Foundation). Lederach has published more than 20 books, including Reconcile: Conflict Transformation for Ordinary Christians (Herald Press, 2014) and The Moral Imagination: The Art and Soul of Building Peace (Oxford University Press, 2010). My thanks to On Being on Tumblr, where I first saw the film. ✦ This is the season for open studio tours and fall art festivals. Coming up: Western North Carolina Pottery Festival (November 7), Dillsboro, North Carolina; Artists of Rappahannock Studio & Gallery Tour (November 7-8, 10:00 a.m. - 5:00 p.m.), Washington, Virginia; 2015 Dixon Studio Tour (November 7-8), Embudo Valley, Northern New Mexico; 8th Annual Newton Open Studios Fall Juried Art Fest (November 7-8, 11:00 a.m. - 5:00 p.m.), Newton, Massachusetts; Vallejo Open Studios 2015 (November 7-8, 11:00 a.m. - 5:00 p.m.), Vallejo, California; Oregon Glass Guild Fall Studio Tour and Sale (November 14-15); Tucson Pima Arts Council Open Studio Tour (November 14-15, 11:00 a.m. - 5:00 p.m.), Tucson, Arizona; 11th Annual Tri-City Artists Open Studio Tour (November 14-15, 11:00 a.m. - 5:00 p.m.); Shoreline ArtsTrail15 and Open Studios Weekend (November 21-22), Branford, Guilford, and Madison, Connecticut; and Toe River Art Studio Tour (December 4-6, 12:00 p.m. - 4:00 p.m. Friday; 10:00 a.m. - 5:00 p.m., Saturday and Sunday), Burnsville and Spruce Pine, North Carolina. ✦ "Failure is really, really important, but failures have to hurt. . . ." ~ Andy Goldsworthy. Listen to the artist's interview at KQED Arts or NPR. ✦ The work of Montana ceramic sculptor Adrian Arleo will wow you. See her portfolio of ceramics, which she imbues with the feel of classical art. ✦ The weekly series Colores! at New Mexico PBS features local and national stories about the visual and performing arts, from painting and sculpture, to film and photography, to dance and theatre, to literature and more. The 30-minute episodes, which are broadcast on Saturdays, are archived and may be viewed online. ✦ Smith College Museum of Art and Artstor Digital Library have added more than 5,000 additional images from the museum's permanent collection to its Digital Library. The number of images that may now be viewed online totals more than 13,000. A post about the images is at The Artstor Blog. ✭ In "The Journey North", ongoing through December 20 at the Wellin Museum of Art at Hamilton College, Clinton, New York, contemporary textile artist Karen Hampton draws on eight generations of her own family's stories as people of African, Caribbean, and American descent to examine broadly our struggle with identity today. Hampton, who calls herself a "griot", meaning a keeper and transmitter of a people's genealogies, uses embroidered, woven, stitched, and digitally printed imagery (image transfers) on cloth to address displacement, transience, and heritage. Of the 45 works in the solo exhibition, 19 are new. ✭ Boston's Institute of Contemporary Art is presenting a huge and comprehensive exhibition about the history and cultural and artistic legacy of the famous Black Mountain College, Asheville, North Carolina. 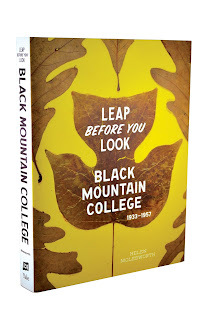 Continuing through January 24, 2016, "Leap Before You Look: Black Mountain College 1933-1957" features some 260 works by more than 90 artists, including Robert Rauschenberg, Anni Albers, Ruth Asawa, Jacob Lawrence, and Willem de Kooning; student work, a soundscape, archival materials, and performance and educational programs of and about the dances of Merce Cunningham and music by composer John Cage. A related publication by Eva Diaz, The Experimenters: Chance and Design at Black Mountain College (University of Chicago Press) also is available. The book focuses on three Black Mountain teachers: Josef Albers, John Cage, and R. Buckminster Fuller. On its closing at ICA, the exhibition will travel to the Hammer Museum (Los Angeles, February 21 - May 15, 2016) and Wexner Center for the Arts (Columbus, Ohio, September 17, 2016 - January 1, 2017). ✭ A site-specific installation, Metal Painting (2015), by Brooklyn-based artist Ellen Harvey is on view through January 4, 2016, at The Barnes Foundation, Philadelphia, Pennsylvania. The installation, comprising 887 paintings in oil on plywood (the images are of ironwork in the Barnes collection; the collection includes almost 900 such historical wrought-iron objects), was commissioned by the foundation and complements the Barnes exhibition "Strength and Splendor: Wrought Iron from the Musee Le Secq des Tournelles, Rouen". A slideshow of "Ellen Harvey: Metal Painting" is online. Watch a video about the Barnes ironwork. On Sunday, November 8, 2:00 p.m. - 3:30 p.m., the foundation hosts "Ironwork in the Barnes: Judith Dolkart in Conversation with Ellen Harvey". The event is ticketed. ✭ Beautiful handmade paper cuts by Catalina Delgado Trunk are on view through December 6 at the University of Oregon's Jordan Schnitzer Museum of Art. The exhibition, "Voces de Mis Antepasados | Voices of My Ancestors", features Delgado Trunk's intricate cut paper ("papel picado") visualizations of her Mexican heritage and indigenous culture. Delgado was a 2015 winner of an Annual Governor's Award for Excellence in the Arts from the New Mexico Arts Commission. Browse works in Delgado Trunk's portfolio online. ✭ The Smith College Museum of Art is presenting "Women's Work: Feminist Art from the Collection" through January 3, 2016. Featuring work from the 1960s through 1980s, made during the so-called "Second Wave" of feminism, the thematically organized exhibition includes such artists as Emma Amos, Judy Chicago, Guerrilla Girls, Jenny Holzer, Ana Mendieta (1948-1985), Howardena Pindell, Faith Ringgold, Miriam Schapiro (1923-2015), Carolee Schneemann, Nancy Spero (1926- 2009), and Martha Wilson. Browse the various virtual resources and view the image highlights. ✭ New Jersey's Grounds for Sculpture, in Hamilton, continues "Jae Ko: Force of Nature | Shiro" through May 1, 2016. Jae Ko's monumental paper relief is 80 feet long and 14-16 feet high; it is at once both massive and ethereal-seeming—a remarkable rolled-paper sculpture comprising more than 20,000 pounds of varying shades of white recycled Kraft paper. The exhibition page provides additional details. Today, Thursday's Three highlights a trio of new poetry collections. 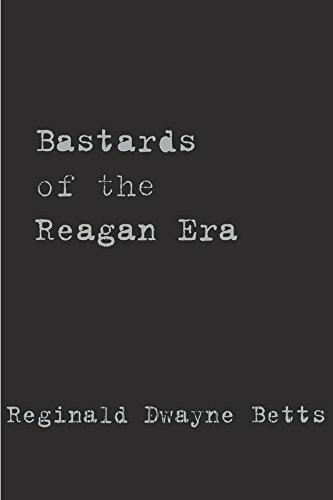 ✭ Reginald Dwayne Betts — Bastards of the Reagan Era (Stahlecker Selections, 2015) ~ Betts's newly published collection elegizes the experience of being a black man in America, what it means to go about "the business of human tragedy" that involves "more than a dead black man in the center" of an "awful tale." When Betts writes, ". . . Prison / has taken the place of / freedom, . . ." he calls out of his own life the insider's knowledge of having been broken. 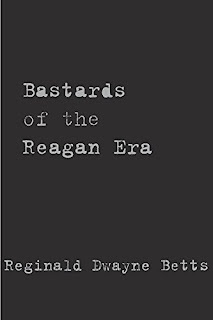 If you have an opportunity to hear Betts read or lecture, do so; and then go re-read his poems. Read an excerpt: "What We Know of Horses" (pdf). Betts also is the author of Shadid Reads His Own Palm (Alice James Books, 2010), his impressive debut collection and 2009 winner of the Alice James Award (formerly, Beatrice Hawley Award); and A Question of Freedom: A Memoir of Learning, Survival, and Coming of Age in Prison (Avery, 2009), recipient of a NAACP Image Award for nonfiction. 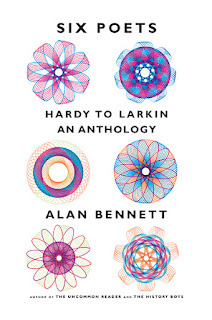 ✭ Alan Bennett — Six Poets: Hardy to Larkin | An Anthology (Yale University Press, 2015) ~ For this anthology, Bennett, a fiction writer and dramatist, selected more than 70 poems by Thomas Hardy, A.E. Housman, John Betjeman, W.H. Auden, Louis MacNeice, and Philip Larken. 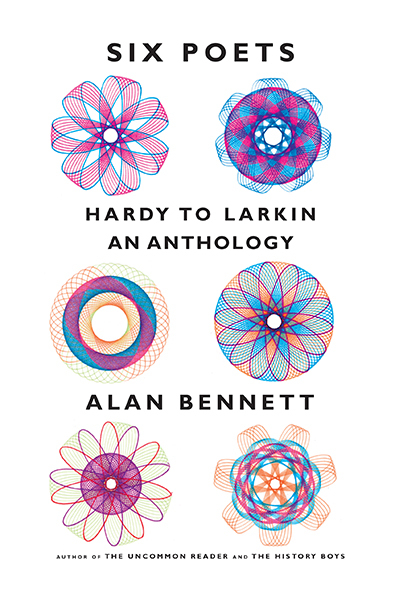 The poems are accompanied by Bennett's appraisals. An audio CD of the anthology also is available. 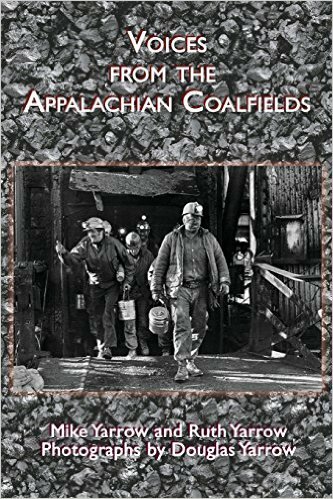 ✭ Mike Yarrow and Ruth Yarrow — Voices from the Appalachian Coalfields (Bottom Dog Press, 2015) ~ This is a collection of "found" poems about miners and mining life. 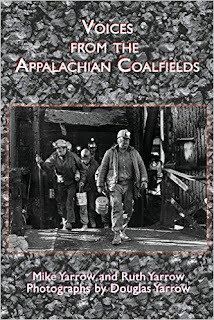 The poems are accompanied by Douglas Yarrow's photographs taken in the Appalachian coalfields. Mike Yarrow died in 2014; his wife Ruth and their children and his brother Douglas survive him. Film director and producer Alexandra Anthony's Lost in the Bewilderness has drawn raves wherever it's been shown. The official selection of at least 10 film festivals, the 97-minute documentary relates the story of the parental kidnapping in Greece of Anthony's cousin Lucas, age 5, who more than 10 years later is found in the United States. Anthony began making her documentary (she is the film's sole writer, editor, cinematographer, sound recorder, and narrator) in 1984; she completed it over 25 years. During that time, she filmed her cousin's re-introduction to his Greek family and culture. 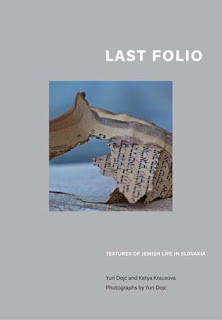 The film is the second in a nonfiction trilogy; the first is Yaya (1984), and the third, Three Pomegranate Seeds, is soon to be in post-production. Each of the films uses intergenerational stories to explore family relationships, childhood, and adulthood, and the joys, tragedies, and sorrows that attend loss and discovery. The trailer, below, gives an idea of the film's lyricism and beauty, and of Anthony's sensitive treatment of her subject. Anthony's first documentary was Morning Born Blindly (1977). The next screening of Lost in the Bewilderness is November 5 at Wellesley College, Wellesley, Massachusetts. A discussion with Anthony follows the screening. Laying eggs, on a good day, equal to her body weight. The earth's contours like a harmless snake. On the steel polished by those great wheels. Sewn up inside the empty sparrow's nest. Line 1: Freya Manfred, "One True Thing"
Line 2: Edith Rylander, "Hive Dancer"
Line 3: Christine Stewart-Nunez, "Because You Never Thought It Could Be Beautiful"
Line 4: Nancy Paddock, "Lie Down"
Line 5: Patrick Hicks, "The Kiss That Saved My Life"
Line 6: Dale Jacobson, "At the Site of the Old Round House"
Line 7: Katrina Vandenberg, "On the Bog Road through Connemara"
Line 8: Diane Jaryenpa, "Ancient Wonders, the Modern World"
. . . this is the final struggle left to win. . . .
~ Robin Morgan, from "The Ghost Light"
Recipient of a National Endowment for the Arts poetry prize and numerous other honors and the former editor-in-chief of Ms. Magazine (1989-1994), Robin Morgan has published poetry, memoir, nonfiction, fiction, and anthologies. Her poetry collections, recently reissued as e-books by Open Road Media, are A Hot January: Poems 1996-1999 (W.W. Norton, 1999; paper, 2000), Depth Perception: Poems and a Masque (Doubleday/Anchor, 1994), Death Benefits: A Chapbook (Copper Canyon Press, 1981), Lady of the Beasts (Random House, 1976), and Monster (Random House/Vintage, 1972). Morgan also is the author of Upstairs in the Garden: Poems Selected and New 1968-1988 (W.W. Norton, 1990). Among Morgan's anthologies are the well-known Sisterhood Is Forever (Washington Square Press/Simon & Schuster, 2003), Sisterhood Is Global (The Feminist Press/CUNY, 1996 and 1984), and Sisterhood Is Powerful (Random House/Vintage, 1970). Her other writings encompass essays, interviews and profiles, criticism, investigative journalism, and political analyses. An activist since the 1960s, Morgan is writer, producer, and host of the weekly program "Women's Media Center Live with Robin Morgan", offering political commentary and featuring political and literary guests. Earlier this year, at TEDWomen 2015, Morgan spoke of having Parkinson's disease and of working with the Parkinson's Disease Foundation. She also noted that, being a poet, she "began working with [her] subject matter, finding it tragic, hilarious, sometimes even joyful". Adding that she does "not feel diminished by Parkinson's" but "distilled by it", Morgan read four strong, witty, and profoundly affecting poems about aging and her experience of the disease: "No Signs of Struggle", "On Donating My Brain to Science", "The Ghost Light", and "This Dark Hour". All four poems are from Morgan's new collection Dark Matter, expected to be released in 2016. As you listen to Morgan reading her poetry, you'll understand, I think, why she has been described as a person who "uses words as ammunition"*. The texts of the poems are included in a transcript of Morgan's reading. Autobiography is an exercise in self-forgiveness. . . .
See selections of Janet Malcolm's collages at Lori Bookstein Fine Art. Today's short, from Poets & Writers, features Sandra Cisneros on creative expression. Cisneros's most recent work is the memoir A House of My Own: Stories from My Life (Knopf, October 6, 2015). The novelist, short story writer, poet, and essayist is the recipient of numerous awards, including a MacArthur Fellowship. ✦ Washington, D.C.'s National Museum for Women in the Arts has launched an important new initiative, "Women, Arts, and Social Change", not only to promote its long advocacy for women in the arts but also to champion ways that museums can become effective forums for addressing social causes. As part of its initiative, NMWA is sponsoring a program titled "Fresh Talk"; its kick-off on October 18 brought together art professionals and activists for gender equality in the arts. On November 18, "Fresh Talk" hosts Carrie Mae Weems, who will discuss artists' social responsibility. Following that, designer Gabriel Ann Maher and design critic Alice Rawsthorn meet January 27 to lead "Change by Design". One needn't live in the D.C. metropolitan area to take advantage of the programs: NMWA plans to live-stream each discussion and upload recorded talks on its Website. ✦ Effective October 6, 2015, George Eastman House, Rochester, New York, became George Eastman Museum. Read "George Eastman Museum Announces New Name". The Website also is new. ✦ Yale University has opened to the public an archive of 170,000 Depression-era (1935-1945) photos. The images, made by the U.S. Farm Security Administration and Office of War Information, are viewable, searchable, and sortable online at Photogrammar. An interactive map plots some 90,000 images bearing geographical information. ✦ A don't miss for locals! See exhibitions, meet artists where they work, and buy local and homemade from Artists & Makers Studios in Rockville, Maryland, which launches Open Studio Saturdays, tomorrow, October 24. The next two Open Studio Saturdays are scheduled for November 14 and December 12. All three are from 10:00 a.m. to 5:00 p.m.
✦ Scrap yards and construction sites are favorite haunts of Wendy Klemperer of Brooklyn, who scavenges for steel and other materials to use in her representational animal sculptures. In the video below, Klemperer talks about why animals so inspire her. Browse Klemperer's portfolio of large and small sculptures in bronze, steel, and wax and her paintings and drawings. ✭ Work by more than 25 artists is featured in "The Big Hope Show" at Baltimore's American Visionary Art Museum through September 4, 2016. A celebration of the museum's 20th anniversary, the exhibition includes paintings, photographs, sculptures, drawings, stained glass, videos, and assemblages. Among highlights are a video tribute to California trooper Kevin Bridges, the art of psychedelic rocker Wayne Coyne (read "'Flaming Lips' Wayne Coyne Plots Art Exhibit Debut" in Rolling Stone), Jackie Sumell's installation Herman's House, depicting the experience in solitary confinement of the late Herman Wallace, and Chris Roberts-Antieau's embroidered story-telling textiles. As described by curator Rebecca Alban Hoffberger, "The Big Hope Show" seeks "to inspire a clearer, more hopeful, communal roadmap forward by shining a big . . . spotlight on just what ignites and sustains human hope while, at the same time, artfully identifying and combating those ancient forces hell-bent on hope's destruction: cynicism, fear and despair." Read City Paper's "Perches in the Soul: The American Visionary Art Museum's Annual Showcase Features Monumental Depictions of Hope", October 7, 2015; and The Baltimore Sun's "With Help from Wayne Coyne, AVAM Celebrates 20 Years with 'Big Hope Show'", October 2, 2015. ✭ Tomorrow, October 24, Mother and daughter artists Janet Ruttenberg and Kathy Ruttenberg open in "Janet Ruttenberg: Figure in the Landscape | Kathy Ruttenberg: Landscape in the Figure" at Iowa's Dubuque Museum of Art. The special exhibition, which will continue through March 20, 2016, is the first time the artists have shown together. Included are four large paintings by Janet Ruttenberg and 10 ceramic sculptures and a tapestry by Kathy Ruttenberg. Also on view are five of Janet Ruttenberg's early works and works by two of her teachers, artists Dorothy Bechtel Rossiter and Sr. Mary James Ann Walsh BVM. The show centers on the artists' observations of the human figure and the natural world. For images, see the exhibition link above. A catalogue is available. Read Charles Stuckey's "Every Day in the Park with Janet". This 2013 video, Where Beasts Dwell, is about Kathy Ruttenberg's art and the animals that inform her work. ✭ "Archipenko: A Modern Legacy" continues through December 13 at The Palmer Museum at Penn State University. Drawn from museum and private collections, the approximately 50 sculptures, mixed-media reliefs, and works on paper span Archipenko's artistic career and reflect his interest in the abstracted figurative form. An innovator, Archipenko's creative techniques and practices encompassed lead casting, electroplating, and use of materials including Plexiglas and Bakelite. Presented for the first time are annotated photographs, patent drawings, and lecture transcripts from Archipenko's archives. ✭ New Jersey's Princeton University Art Museum opened "Ursula von Rydingsvard and Others: Materials and Manipulations" October 17. The exhibition, which runs through January 3, 2016, features nine new works by von Rydingsvard, a sculptor who uses circular saws and other nonconventional tools to create her monumental pieces. A highlight is a university commission—the artist's first work in copper. Read the ArtNews post, "Habitat: Ursula von Rydingsvard". ✭ Continuing through February 22, 2016, at Virginia Museum of Fine Arts, Richmond, is "Nightfall: Prints of the Dark Hours". Here's a short video introduction to the exhibition of European and American prints (mezzotints, etchings, engravings, woodcuts, lithographs) that explore the evocations of night. View the exhibition checklist. Some of the artists whose work is included in the exhibition are Edward Hopper, Rembrandt, Gene Gloss, and Rockwell Kent. ✭ The work of sculptor Robert Kinmont goes on view October 31 at di Rosa Art Preserve in California's Napa Valley. The exhibition, "Robert Kinmont: Trying to Understand Where I Grew Up", is the conceptual artist's first solo show in the Bay Area in more than 45 years. A selection of early works from the late 1960s and 1970s will be presented with work made since 2005. (Kinmont, who lives in Sonoma, interrupted his art practice to study Zen Buddhism and work as a carpenter.) A reception is scheduled for November 7, 6:00 p.m. - 8:00 p.m. The film below, Ursula von Rydingsvard: Giardino della Marinaressa (Itinerant Pictures), traces the journey of six of the sculptor's monumental works to an exhibition site in Venice, an event sponsored by Yorkshire Sculpture Park for the 56th Venice Biennale, which continues through November 22. The opening of the exhibition of von Rydingsvard's magnificent sculptures in Giardino della Marinaressa is October 28; the conclusion is November 22. Yorkshire Sculpture Park mounted a major retrospective of von Rydingsvard's work, more than 40 drawings and sculptures, in April 2014. Watch a video about that exhibition, and view images. 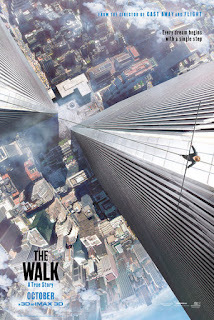 Based on the book To Reach the Clouds* (North Point Press, 2002; Faber & Faber Tie-In Ed., 2015), the Robert Zemeckis film The Walk (Sony Pictures) relates the true story of Philippe Petit's August 7, 1974, walk — without a net — between the Twin Towers at the World Trade Center in New York City. The wire was 120 feet long; it stretched some 1,350 feet above ground. Petit crossed the wire in less than 60 minutes. The film, shot with photorealistic techniques and in IMAX 3D, has already been released in the United States. Below is the official trailer. Petit also is the author of Creativity: The Perfect Crime (Riverhead Books, August 2015), the e-book (Kindle) Cheating the Impossible: Ideas and Recipes from a Rebellious Artist (TED Conferences, 2012), and Man on Wire (Skyhorse Publishing, 2008). Petit released The Walk (Skyhorse Publishing), a retitled edition of To Reach the Clouds, this past September. * Petit gave a TED Talk about his walk, "The Journey Across the High Wire", in 2012. James Marsh's documentary about Petit, Man on Wire, received a 2009 Academy Award and other honors. 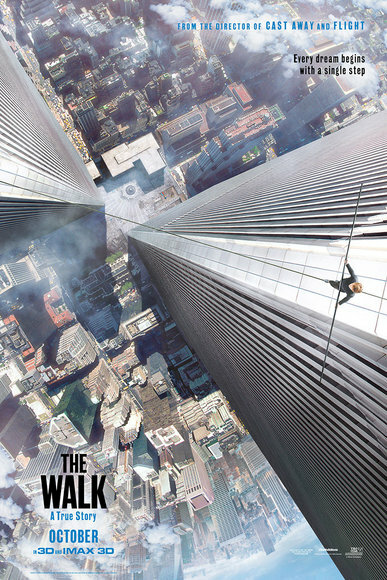 Read "'The Walk'—A Death-Defying Journey to Remember", a critical review of Zemeckis's film at The Arts Fuse, October 13, 2015; and "The Real Story Behind Philippe Petit's High-Wire Act in 'The Walk'", Curbed NY, September 30, 2015.
two mourning doves calling the sun out of darkness. that does not choose the direction it travels. Line 1 ~ Shandel Beers, "Water, Water Everywhere"
Line 2 ~ Patty Paine, "Notes on Mirrors, Already Lost"
Line 3 ~ Donna Vorreyer, "Why I Love You Most When I'm Upset"
Line 4 ~ Jake Adam York, "A Murmuration of Starlings"
Line 5 ~ James Wright, "Jerome in Solitude"
Line 6 ~ Jake Adam York, "Letter Already Broadcast Into Space"
Line 7 ~ Nancy Willard, "The Mirror"
Line 8 ~ Hannah Sanghee Park, "Dear Sir—"
Line 9 ~ Nancy Willard, "Tree House"
Line 10 ~ Claudia Emerson, "The Practice Cage"
Line 11 ~ Jane Hirshfield,"Twelve Pebbles (Still Life)"
Line 12 ~ Claudia Emerson, "Furnace"
Line 13 ~ Jane Hirshfield, "Like Two Negative Numbers Multiplied by Rain"
Line 14 ~ Jane Hirshfield, "Like Two Negative Numbers Multiplied by Rain"
Punctuation and capitalization are my own. Recently, I came across the poem "To My Hands", by poet, novelist, and short story writer Patrick Hicks. The poem has been translated into American Sign Language and can be seen on YouTube. Among Hicks's poetry collections are Adoptable (Salmon Poetry, 2014), This London (Salmon Poetry, 2010), and Finding the Gossamer (Salmon Poetry, 2008). Selections from each are available at the respective links. Hicks also is the editor of the anthology A Harvest of Words: Contemporary South Dakota Poetry (The Center for Western Studies, 2010). of weapons prescribed upon our bodies. . . .
Today's short is the filmic version of Jehanne Dubrow's poem "The Long Deployment". The poem was adapted by Nicole McDonald for Motionpoems. Directed by Nicole McDonald, the film was an official selection at this year's Minneapolis-St. Paul International Film Festival. Among Dubrow's collections are The Arranged Marriage (Mary Burritt Christiansen Poetry Series, University of New Mexico Press, 2015), Red Army Red (Triquarterly Books/Northwestern University Press, 2012), and Stateside (Triquarterly Books/Northwestern University Press, 2010). The Long Deployment from Motionpoems on Vimeo. ✦ Film London and the film section of the British Council announced last month that they have launched Shakespeare's Sister, a project that aims to "develop some of the UK's best emerging female filmmaking talent and help tackle gender disparity within the film industry." For the inaugural initiative, two teams headed by women will receive production funds to create Shakespeare-inspired shorts (up to 15 minutes) that subsequently will become part of 2016 global celebrations commemorating 400 years of Shakespeare; the teams will be mentored by Film4 and receive a year-long membership in Women in Film & TV. Women who are writers, directors, and producers, including transgender women, must apply by November 3, 2015, to be considered for the teams. ✦ Yesterday I posted a new Artist Watch feature at Escape Into Life, spotlighting the gorgeous photography of Tal Shpantzer of Brooklyn. 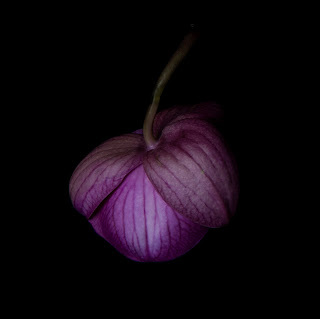 See selections from two of Tal's evocative bodies of work, The Petal Series and Limbus Kid at EIL. Tal's artistic gifts run in her family; her mother Tova Shpantzer, who maintains a studio at Artists & Makers in Rockville, Maryland, is a metal artist who creates beautiful jewelry and vessels. Tova's Website is Tova's Design. ✦ Artist-in-Residence at Crow's Shadow Institute of the Arts, abstract painter Michelle Ross ventured into printmaking to create a series of monotypes with translucent layers, stenciled geometric forms, and colorful washes. (Check Crow's Shadow Website for images). Each of the prints she has made are one-of-a-kind. Ross, a 2012 Ford Fellow, is head of the department of drawing and painting at Oregon College of Art and Craft. Listen to an interview with Ross about her most recent exhibition at Elizabeth Leach Gallery, "Trust Falls and Transparent Things". 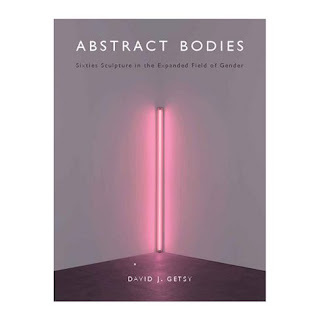 ✦ The National Gallery of Art, Washington, D.C., is hosting David Getsy October 25, 2:00 p.m., at which time Getsy will discuss themes from his book Abstract Bodies: Sixties Sculpture in the Expanded Field of Gender and sign copies. 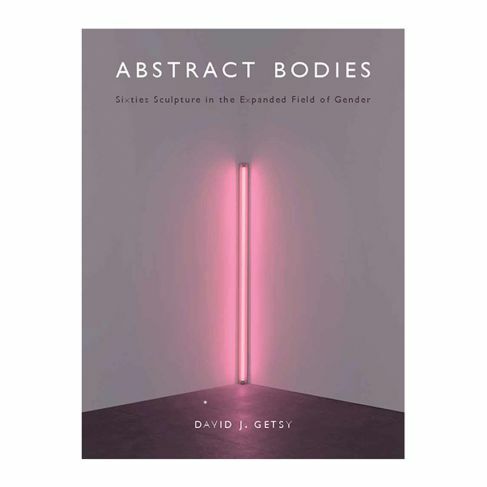 Getsy is the Goldabelle McComb Finn Distinguished Professor of Art History and interim dean of graduate studies at the School of the Art Institute of Chicago. His NGA lecture is titled "Abstraction and Its Capacities". ✦ Conservation photographer Mac Stone, who documents wildlife in the Florida Everglades, shares his work in this TED Talk. Stone published Everglades: America's Wetland (University Press of Florida) in 2014; now in its second printing, it was awarded a silver medal in the Florida Book Awards annual competition. Watch an interview with Stone about his award-winning book. ✦ You'll want to get acquainted with the work of Chicago-based Victoria Fuller, a sculptor, painter, and natural science illustrator. Fuller's nature-inspired and found-object sculptures and installations are imaginative and, in the case of the former, educational. See a video about Fuller's Global Garden Shovel a large public sculpture for the City of Seattle's Sound Transit. ✭ In the Art Gallery of Tufts University's Aidekman Arts Center, Medford, Massachusetts, is "Shahzia Sikander: Parallax", on view through December 6. The exhibition comprises the Pakistan-born artist's first immersive animation, Parallax, which debuted at Sharjah Biennale in 2013, as well as related paintings, drawings, and photographs. Sikander constructed the three-channel, color animation, which is 15 minutes long, from hundreds of drawings and paintings that are abstract, representational, and textual. The gallery is publishing a book, expected to be available in spring 2016, with an interview by Amy Schlegel, a conversation between Sikander and Parallax music-and-sound composer Du Yun, and essays. ✭ Celebrating its 10th anniversary, Nasher Museum of Art at Duke University, Durham, North Carolina is presenting "Reality of My Surroundings: The Contemporary Collection" through July 10, 2016. Focused on artists of African descent, the exhibition includes paintings, sculpture, works on paper, photography, video (including a new acquisition Girls, Tricky by Steve McQueen), and installation. The work spans four decades and highlights a range of cultural perspectives. Among the artists whose work is on show are Marlene Dumas, LaToya Ruby Frazier (2015 MacArthur Fellow), Kerry James Marshall, Wangechi Mutu, Lorna Simpson, Mickalene Thomas, and Carrie Mae Weems. ✭ Continuing through January 24, 2016, at Figge Art Museum, Davenport, Iowa, is "Ellen Wagener: Horizon Lines", a new series in pastels depicting the seasons and the sun rising, and earlier work found in the museum's collection. 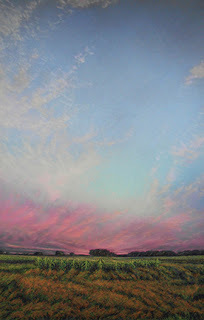 Landscape Artist Ellen Wagener from Brian McHugh on Vimeo. ✭ Emerging artist Rhea Pappas, a fine art and commercial photographer based in Minneapolis, is receiving a solo exhibition at Minnesota Marine Art Museum, Winona. 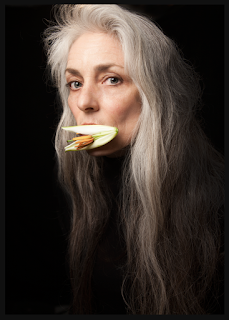 Her show, on view through January 10, 2016, features images of women underwater. 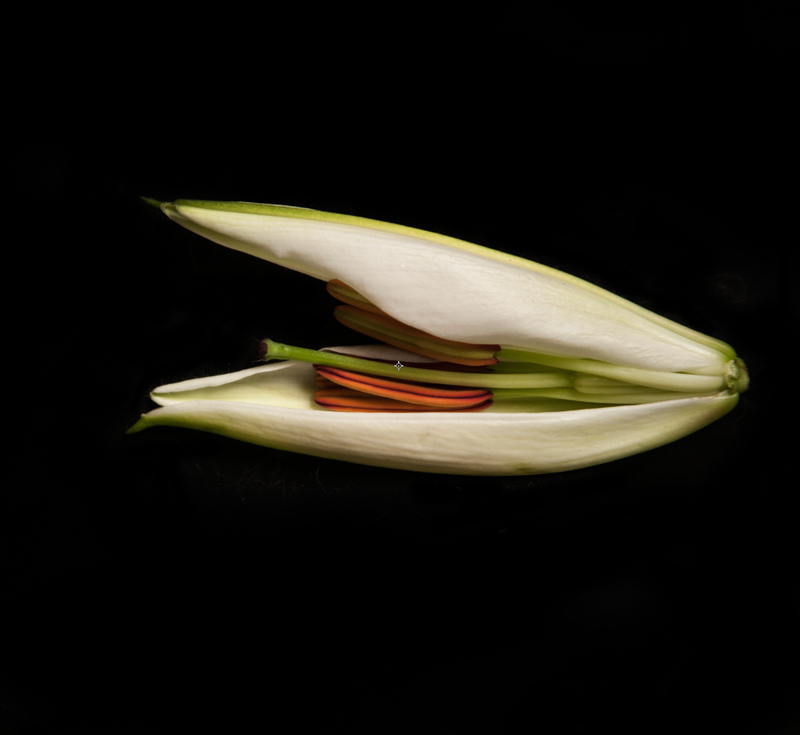 A selection of images is available at Pappas's Website. ✭ Vermont's Shelburne Museum continues for the next two weeks "Ahead of the Curve", an exhibition of exceptional contemporary quilts by Judy B. Dales. The show includes work from the last 15 years, including four new quilts; information about Dales's inspiration and process accompanies each piece. Dales, whose work can be found in the White House Collection of American Crafts, is renowned for her use of form, color, texture, and abstract designs. Images are available at the exhibition link above; also see installation shots in the News section at Dales's Website. You'll find me today at Escape Into Life, where my latest Artist Watch column features the superb work of photographer Tal Shpantzer, who is based in Brooklyn, New York. Tal's photography is published nationally and internationally, in a wide range of prestigious art, design, and fashion periodicals, including Vogue (Italian and Indian editions) and Harpers Bazaar. Commercial clients include HBO, MTV, and EMI and Capitol Records. You'll find images of Tal's beautiful, evocative work, in today's Artist Watch. The images are taken from two substantial bodies of work: The Petals Series and Limbus Kid series. A brief biography and an Artist Statement, as well as Tal's social media links, are provided, too. Among Tal's other series are Limbus Diary, Limbus/Greenpoint Diary, and Obscure Object Films. 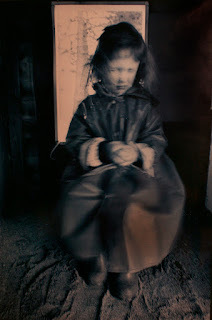 A selection of her portraits and of her documentary photographs may be viewed at her Website. PLEASE DO NOT COPY THESE IMAGES. Be sure to see my Artist Watch column for more images from Tal's two series. is a chance to find oneself. Recently, I came across the online site "I Am Woman | Leap of Faith", a South African television series. 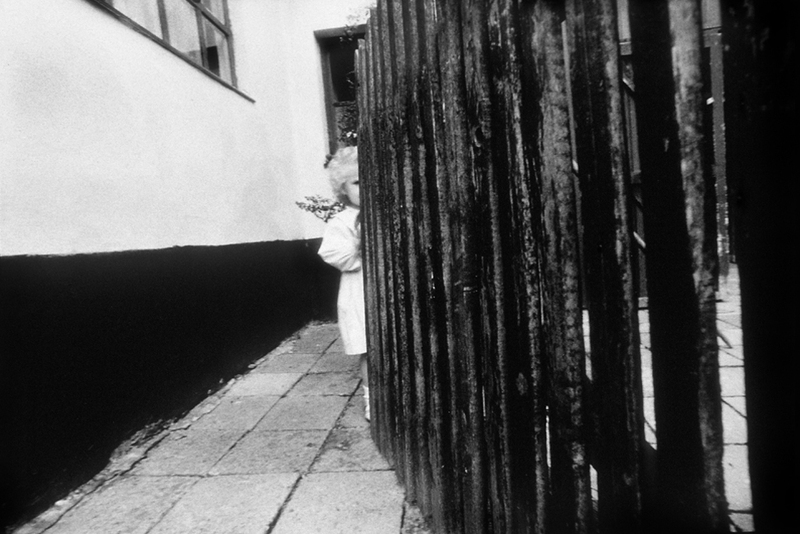 Among its many interesting stories about women and the redefining moments in their lives is the one told below, about the remarkable documentary photographer Tracey Derrick, who, in 2008, was diagnosed with breast cancer. Derrick's response to her diagnosis was to make herself the object of self-investigation and understanding by creating a visual diary of her own illness, treatment, and survival. She also made portraits of other breast-cancer survivors. Derrick's moving photographic project is titled One in Nine. In the three short videos below, produced for "I Am Woman", Derrick recounts her story and the decisions she had to make at each step of her journey to heal from cancer. Derrick's One in Nine project was first exhibited in the fall of 2010 and, in 2012, was selected for Grahamstown National Arts Festival Think!Fest. 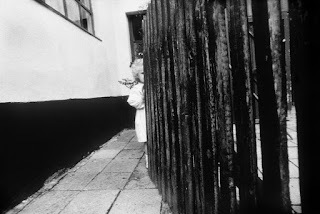 View a selection of Tracey Derrick's One in Nine photographs at her Website. the shins of trees in snow. and traversing a winter-cooled sky. in the powdered face of dawn. All of the above are found poems, their inspiration a recent TweetSpeak Poetry post "Top 10 Street Poems". Eleven poets' and two artists' ekphrastic work is on view at Valkarie Fine Art Gallery, Lakewood, Colorado. As defined in The Oxford Classical Dictionary (see the current online version), the word "ekphrasis" means "an extended and detailed literary description of any object, real or imaginary". For this exhibition, titled "Ekphrastic: Valerie Savarie & Sharon Eisley", the artists have interpreted visually a poem submitted by a guest poet. The participating poets are Lincoln Carr, Bree Davies, Susan Froyd, Nicole Haag, Trinity La Fey, Toni Lefton, a professor a Colorado School of Mines; Rob Lessig, Drew Myron, author of Thin Skin and founder of Push Pull Books; Kimberly O'Connor, a Youth Program Coordinator for Lighthouse Writers Workshop whose poems have appeared in Colorado Review and other literary periodicals; Rebecca Snow, author of the novel Glassmusic and the recipient of the 2015 Seaside Writers Conference poetry fellowship; and Colleen Teitgen, who also is a visual artist. In the Gallery section of Valkarie Fine Art's Website, you'll find an image of each of Savarie's and Eisley's artworks, and the name of the poet paired with that artwork. Denver-based Savarie interpreted poems via carved or otherwise altered books, while Eisley contributed visual narratives in oils and watercolors. The artworks (all are available to purchase; many have sold) are rich and rewarding. The gallery held a poetry reading last Saturday, October 10. The exhibition continues through October 18. See it if you're in the area!